Instructions for using a specialized graph paper for bead crochet rope patterns in 6 or 7 around. This set contains full illustrated instructions and one sheet of the graph paper. 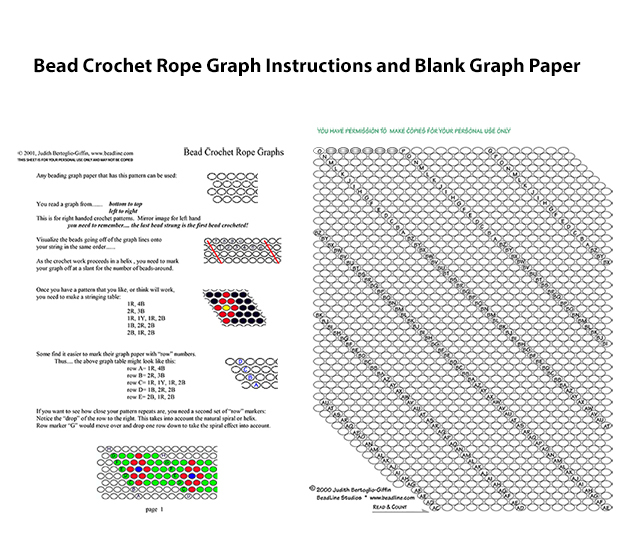 There is a free sheet of the graph paper imcluded should you need more copies, see Bead Crochet Rope Graph Paper.